Amid all the recent negative news about education, there’s finally a ray of hope: a free revision series on Mxit designed especially to help this year’s Matrics ace their exams.‘CellSchool’, developed by the EISH-Team in partnership with the Digital Media and Marketing Agency (DMMA), consists of short video lessons for six key subjects, delivered by top teachers who guide the Grade 12s through exactly what they need to study every day in order to succeed in their final exams. With forty 10- to 15-minute lessons for Maths, Physical Sciences, Life Sciences and English FAL, and twenty each for Maths Literacy and Accounting, the revision series covers all the key concepts in the Grade 12 curriculum. 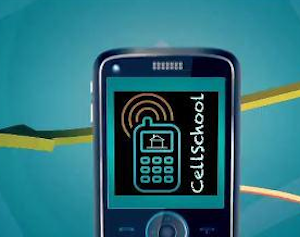 CellSchool tutors are available on Mxit from 17h00 – 19h00 every day to help learners with their revision questions. They also guide learners through practice activities and questions from past exam papers, ensuring that they are able to engage with the content in the video lessons, practise until they have mastered it and then apply the knowledge in an examination context. “It is a way of showing learners the efficiency of various digital media channels in education when it comes to transforming education,” says Anastacia Martin, Head of DMMA Training and Transformation. During the exam period itself, ‘night-before’ guidelines for each exam paper will also be provided on Mxit – including advice on what to expect in the following day’s exam, how best to approach each section, and how to ensure maximum marks. The ‘CellSchool’ revision series has been produced by the EISH-Team. “We’ve been experimenting with mobile as a way of delivering good quality video lessons to learners at a very low cost,” says content producer Lisa Blakeway, “and it seemed silly not to make the pilot content available to the people who will benefit from it most – this year’s Grade 12s. “We’ve shot the series especially with inexpensive, small-screen cell phones in mind, and have compressed the content dramatically so that the associated data costs are as low as possible for the end user – approximately 20c for a 5-minute/2MB lesson segment. SOUNDS GREAT!! HOW DO I GET IT? ?